We will pick you up from your hotel in Sharm then transfer to the sea dock, board the departing cruise boat to Tiran Island. Escape the crowd and the desert heat in this day of relaxation around the white sandy Tiran Island with Crystal clear water, lagoons & coral reefs. The island is to the north east of Sharm El Sheikh in Aqaba Gulf. Board the jetty sailing for two hours towards the north east Aqaba Gulf to reach the beautiful Blue Laguna, it is perfect diving spot, snorkel and swim. It is not deep but it features big diversity of coral reefs and fishes. 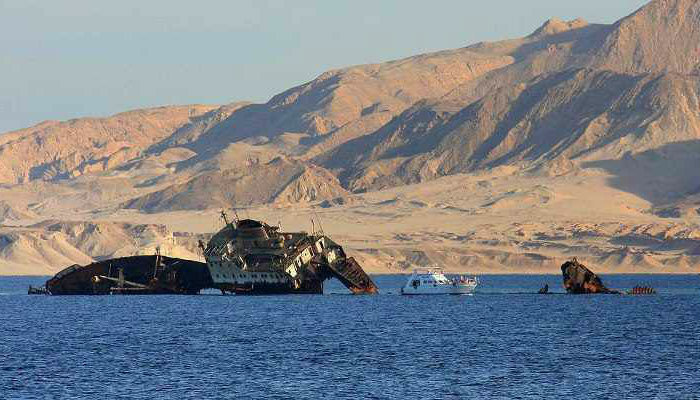 Continue sailing towards Tiran Island for another great snorkeling opportunity, get your open buffet lunch meal aboard cruise boat then proceed sailing to the visit the famous Thistlegorm wreck. You will be also guided by expert instructors and snorkeling guides, drinks and bathrooms are all available, end of the sailing back to the dock then transfer to your hotel in Sharm El Sheikh.